I am finding that playing every course in Missouri is much more about just playing golf. It is becoming more about meeting and spending time with the great people of Missouri and hearing their stories. And, playing Karen Kjar (pronounce Car) Memorial Golf Course is definitely one of these occasions. 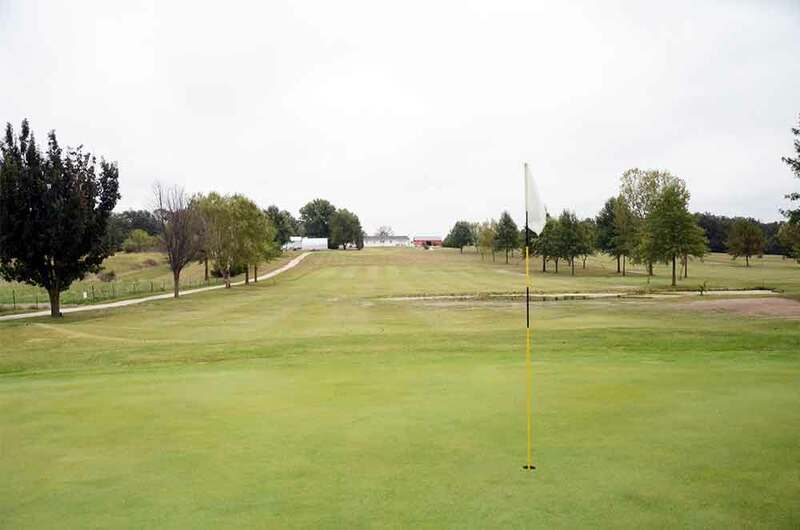 This course is located just south of Buffalo, Missouri located 30 miles north of Springfield. 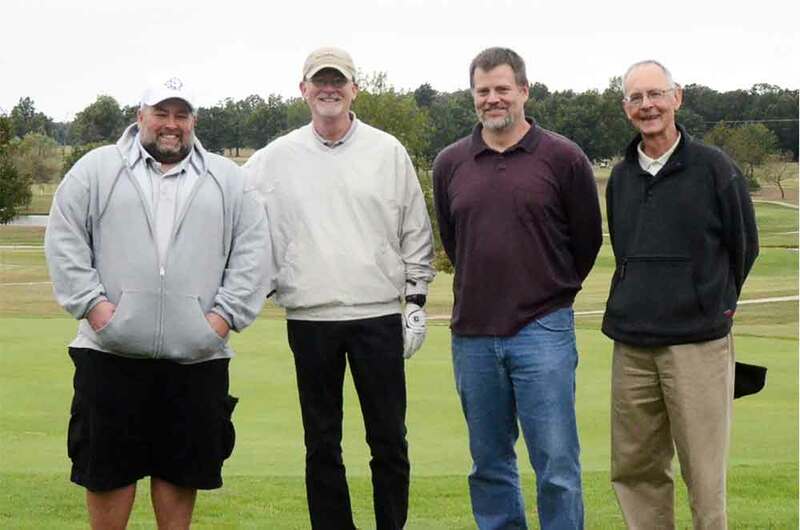 We played with two of the family members of the Kjar family, Jim Kjar and his brother-in-law Curt Darnell who is married to Melissa, Jim’s sister. The patriarch of the family, Owen, built the course on his cattle farm “because he couldn’t get a tee time at the larger courses in the region.” So, he and his family designed the course, nurtured it and still maintain it. Melissa was working the “pro shop” when we checked in but got up at 6 am to water the greens. Curt just in from mowing the fairways. And, Owen was seen all over the course throughout the round seeding and handling many other tasks. This is truly a family business/passion and you can tell that the kids have great respect for their dad. The course is named for their late mother, Karen. 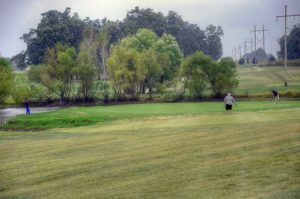 The course is an excellent small town golf course. The slope ratings are fairly low, likely because there is not a lot of trouble to get into, even if you wildly spray the ball. No sand traps but lots of water hazards scattered throughout the layout. The 4th hole is a 365 yard dogleg par 4. “Dogleg” is really not accurate because this hole is shaped more like a “U,” with a lake in the middle and strategically-placed trees preventing most golfers from going for the green from the tee. But, this is a crazy and fun hole to play (I got a 7 on the darned thing). The greens are soft with minimal undulation, except the 18th hole which, for my money, is the best green on the course. It seems a young Jim, back in the early 70’s, took the bulldozer when his dad was at work and created a two-tiered green. Owen was not happy when he got home but had to leave the green as it was. Well played Jim. Well played. 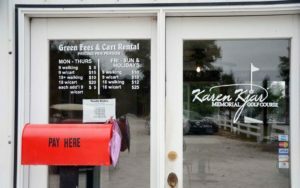 If you are in the Springfield area and want a break from the top tier, expensive courses in Branson and Springfield, please drive up highway 65 and play the Karen Kjar Memorial Golf Course. Take a little extra time to talk with the family. 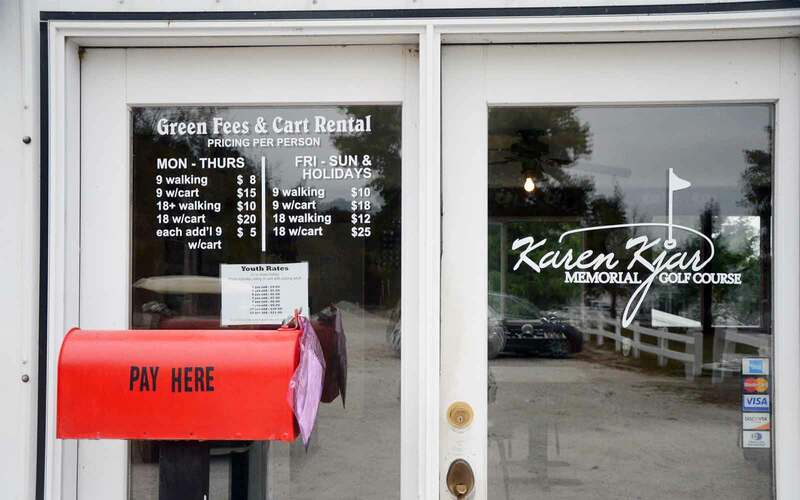 If the family is out of the pro shop, just leave your green fees in the “Pay Here” box outside the front door. The keys will be in the cart. This course was formerly known as Dream Valley Golf Course.